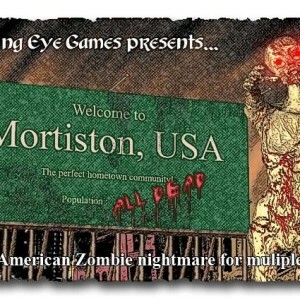 Before moving on the next Actual Play series in our queue, Erik sits down with three of the Project Z players for a friendly game of Fiasco set in Mortiston during the events of the campaign. The game is a zombie apocalypse scenario set in an isolated town in southern Colorado. We recommend you listen to the previous Actual Play episodes before enjoying this one, but it isn’t strictly necessary. Fiasco is a sort of improv RPG in which players take turns establishing scenes that build an unnecessarily complicated set of relationships into a miasma of conflict and despair from which – in the midst of the zombie apocalypse – you can easily surmise that not everyone escapes intact. Most of the group is new to Fiasco, so much of the setup and instructional material remains in the recording for listeners interested in learning how the game plays out. 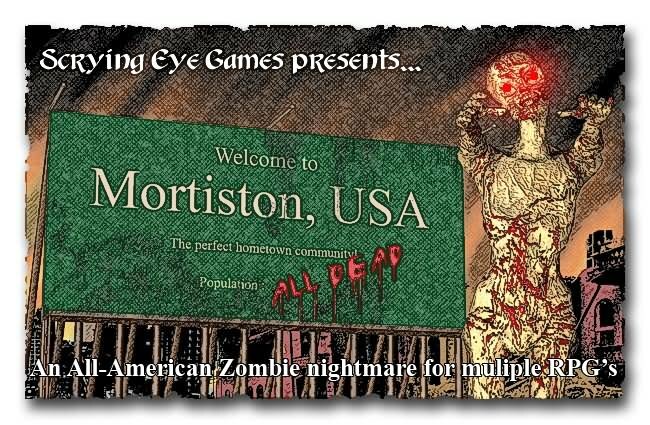 We will also be posting a copy of the After Z-Day: The Zombie Apocalypse in Mortiston USA! playset for listeners interested in trying it out. The Metagamers Anonymous Actual Play series is sponsored by Lone Wolf Development, makers of Hero Lab! One Response to Fiasco: Project Z!